As far as I can tell, the only way to effectively prolong the memory of summer well into the misery of February is to act now. 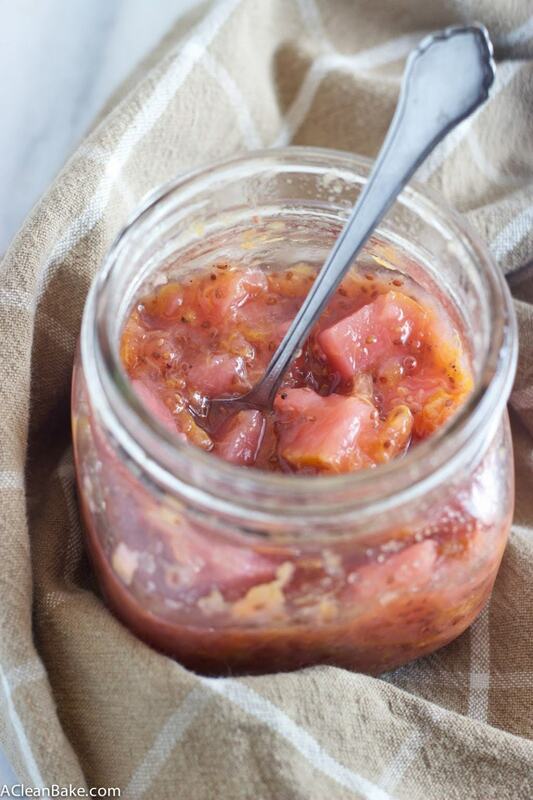 Gather up as much of summer as possible, cook it down, put it in a jar, and put a lid on it. It’s a solid plan, or at least the best that I have right now. Even though the season is petering out, stone fruits seem still to be in abundance, and probably more affordable than they’ll be for a long, long time. I bought a bag of plums and a bag of heavenly, perfectly underripe white peaches, but I couldn’t bear to disrespect the latter with such violations as cutting and cooking them, so I am in the process of eating them over the sink instead. Luckily I had some pears to fill the gap. All of this fruit was actually just a means to an end. Originally, the plan was to simultaneously learn how to can while making three different things to put in said cans (plum jam, pear compote, and stewed tomatoes). My friend and I, inspired by the desire to use up an abundance of mason jars (hers) and some sort of newfound desire to embrace all things June Cleaver-ish (mine; let’s avoid the discussion of whatever unconscious Freudian reaction to impending wifehood this inevitably represents), decided to try our hand at canning. Never-you-mind that neither of us had ever canned successfully, because a) we had a book and b) I did a little research and found that the fruit we were canning has too high an acid content to allow botulism to flourish and c) um, did I mention the book? Well, it took us about 2 hours to actually figure out how to set up everything and to scrub the rust off of the canning pot rack that has been in a basement for 20 years. So, long story short, we ended up throwing all the fruit into one chunky compote (compote = larger fruit pieces = less chopping) and calling it a day. The pears, though an afterthought, surprisingly ended up being the star of the show because, unlike the plums that broke down as they cooked, the pears held their shape and tenderness, and studded the compote with big toothsome chunks that burst with sweet, slightly citrusy-sour flavor when you bite into them. The big chunks of pear are really why this isn’t a jam. 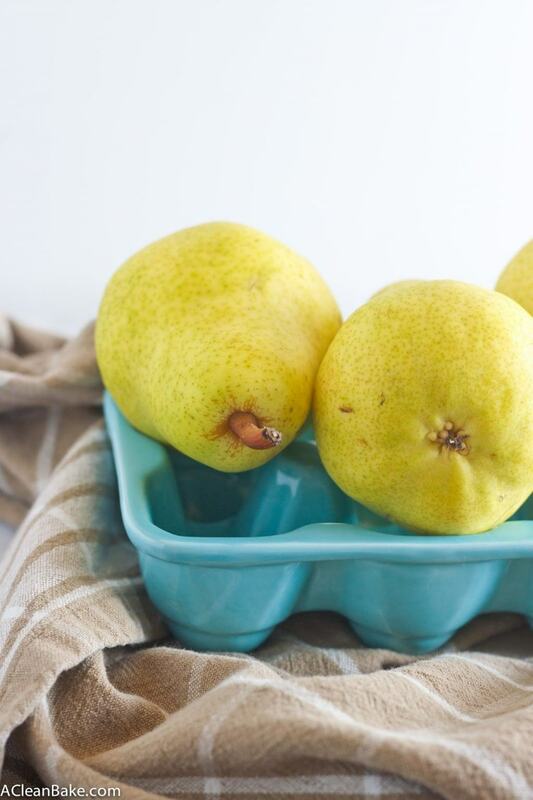 Of course, you probably already deduced that, to make this into more of a traditional jam, you could use softer pears (mine were under-ripe), chop them very small (instead of into bite-sized pieces), or, if they are firm and under-ripe, try shredding them. You may want to dial back on the liquid, as well, in order to produce a thicker consistency. The chia is a weird ingredient that you cannot taste, but you can sense, a little, especially at first. Chia seeds are ultra-absorbent little nutritional powerhouses that contain omega-3 healthy fats, protein, fiber, antioxidants and apparently also calcium. 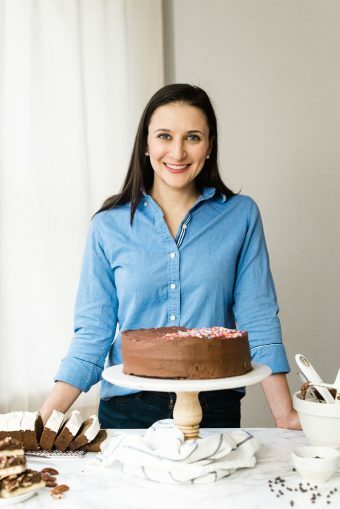 But I used them here to take the place of pectin, which I couldn’t find in any form that wasn’t highly processed and laden with sugar and preservatives. That old story. The more the chia sits in the compote, the more liquid it absorbs and the less you can actually feel the chia on your tongue. So, have some patience if you don’t like the texture at first, and if you really have an objection, use ground chia seeds instead of whole for the absorbency without the added texture. 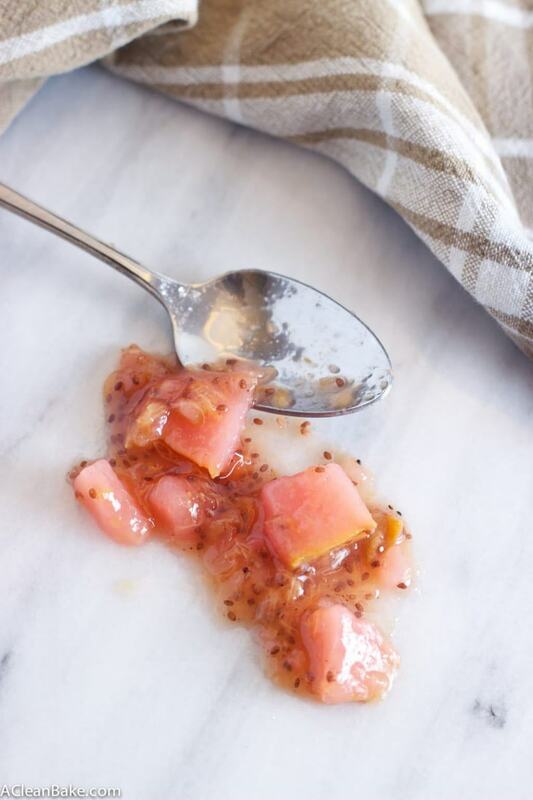 Personally, I enjoy the chai seeds once they have fully absorbed the liquid, and – full disclosure – I mostly like how they make the compote look extra-rustic, like something you might pay $9 for at a yuppie urban farmer’s market. As for the preservation of this compote, I’m not, even for a minute, here to pretend I am some sort of expert when it comes to canning. 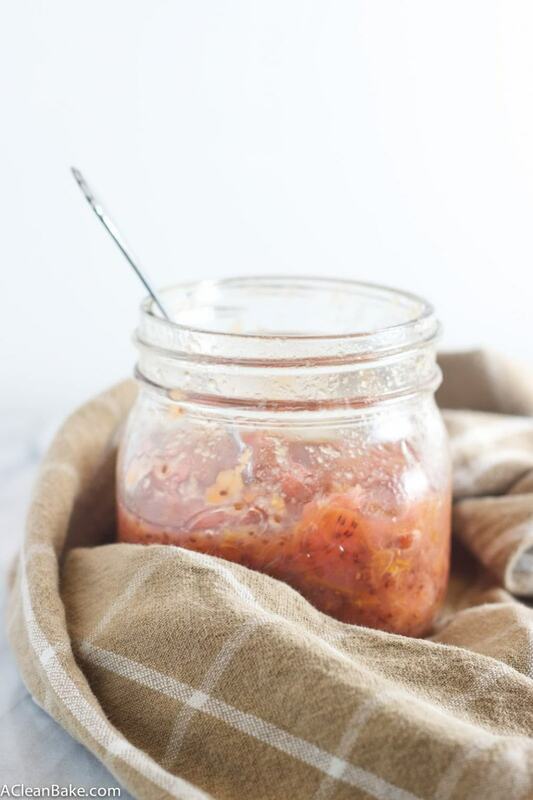 This compote can absolutely be made and kept in the fridge or freezer until eaten, and you can skip the canning process. But since this was my first canning adventure, and it seems so far to have been a success (nothing rotten/no one violently ill), maybe we can split the difference and while I won’t give you instructions, I will show you a few pictures. Half of these are from my friend’s point of view, and they are all from our phones, so please excuse both the quality and, if you already follow me on Instagram, the repetition. Or feel free to just scroll straight down to the recipe. 3-4 cups water or fruit juice, such as apple, for more flavor and sweetness, if you prefer. In a stockpot large enough to hold all of the fruit with plenty of room to spare, bring the fruit and to a boil, then turn down the head and simmer, uncovered for about 30 minutes, or until the fruit starts to soften and break down. 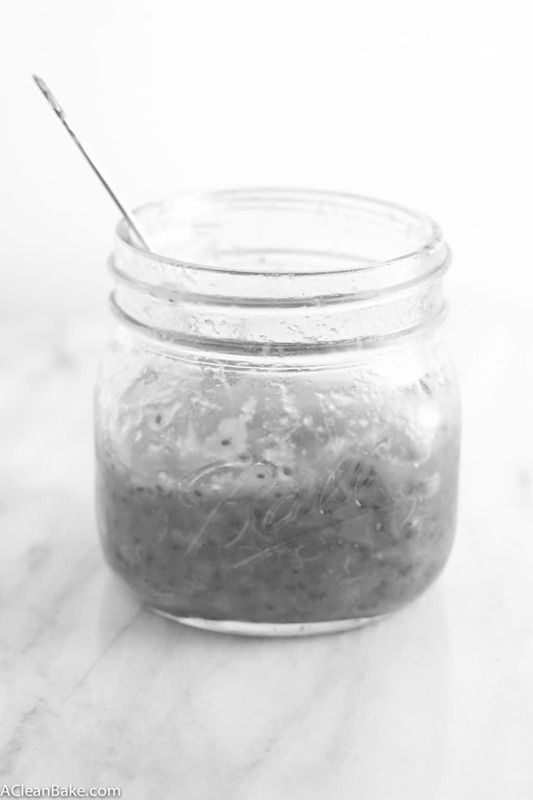 Turn off the heat and stir in the chia seeds. 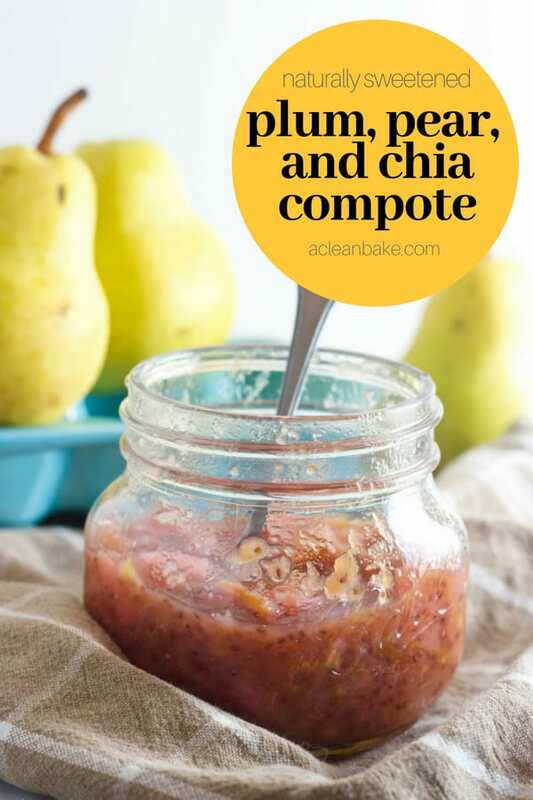 Allow the compote to sit for a minimum of 30 minutes (but preferably more like an hour), while the seeds absorb the water and thicken the compote. You can either can the compote, or store in an airtight container in the fridge for up to 3 weeks, or in the freezer for up to 6 months.